Chocolate Mousse Cake is another no bake dessert that’s simple and delicious and is sure to become a family favorite. 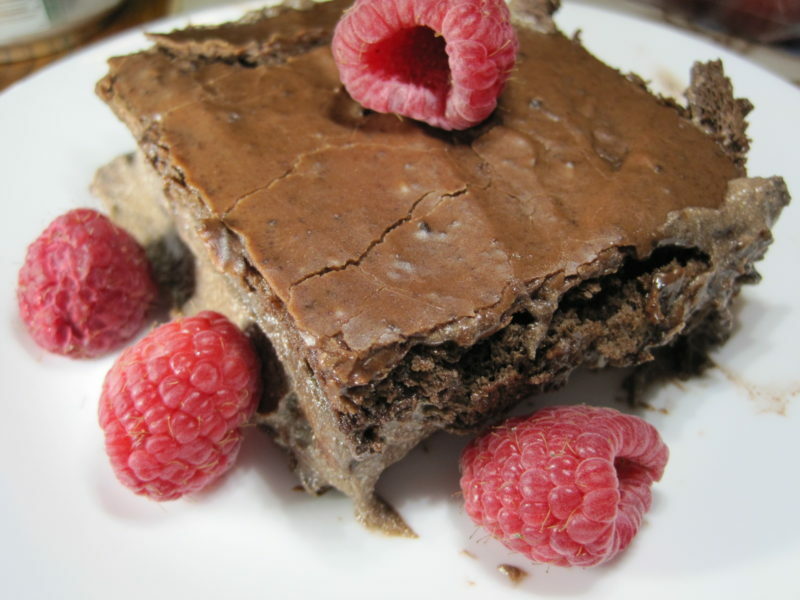 Creamy and delicious, this is the perfect decadent dessert. This recipe is similar to the Chocolate Eclair Cake recipe that we published in December of 2015, but since we are making it in our 30 days of cans, we substituted canned evaporated milk in place of fresh milk in the mousse. This is such a fun and simple dessert, we will be making it several times this summer. 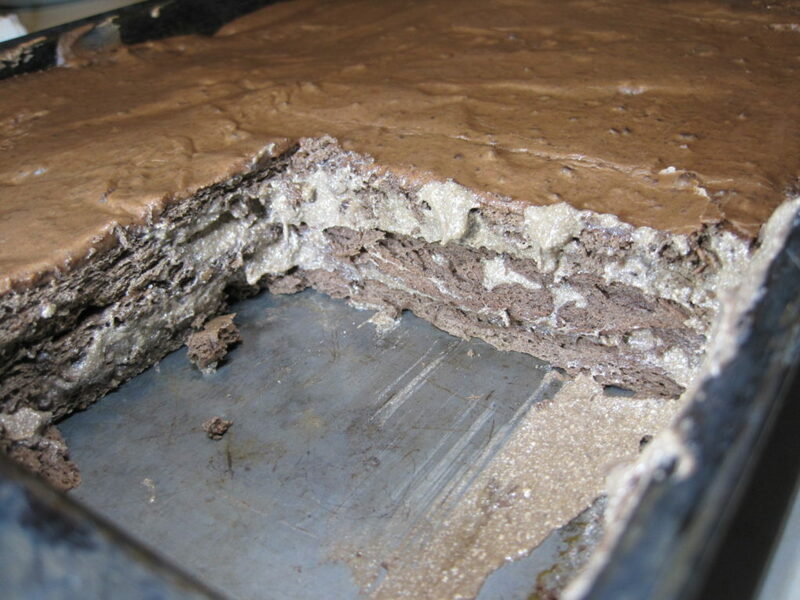 Once the pudding is prepared, and the whipped topping folded in, the Chocolate Mousse Cake is assembled in layers. 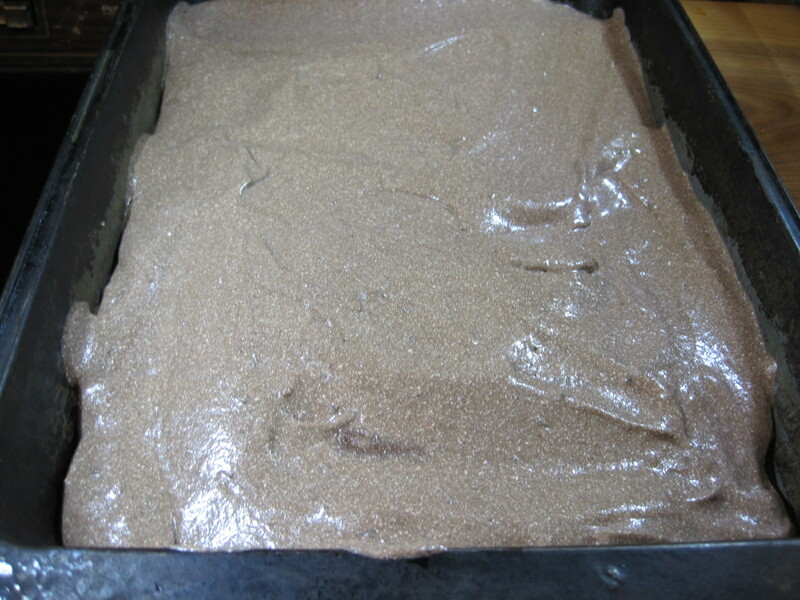 First, a layer of chocolate graham crackers is placed into the bottom of a 9X13 inch pan. This is topped with 1/2 of the pudding mixture. Then another layer of chocolate graham crackers is placed on top of the pudding mixture, followed by more pudding, and finally another layer of graham crackers are placed on the top. 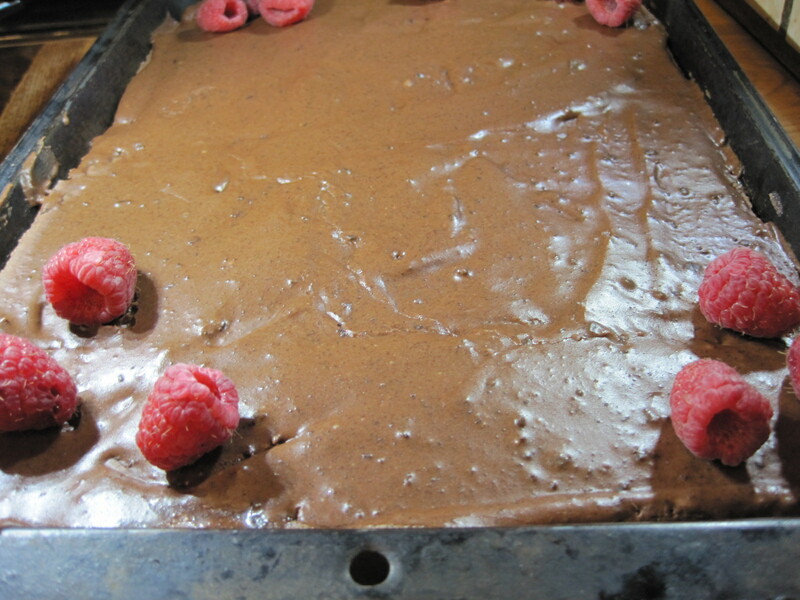 The chocolate topping is mixed together and the entire pan is carefully frosted. Raspberry’s look pretty on top of this but they’re not essential. This is best when it sits overnight in the refrigerator before serving, but it’s good after 8 hours. Give our recipe for Chocolate Mousse Cake a try and let us know what you think by leaving a comment below. 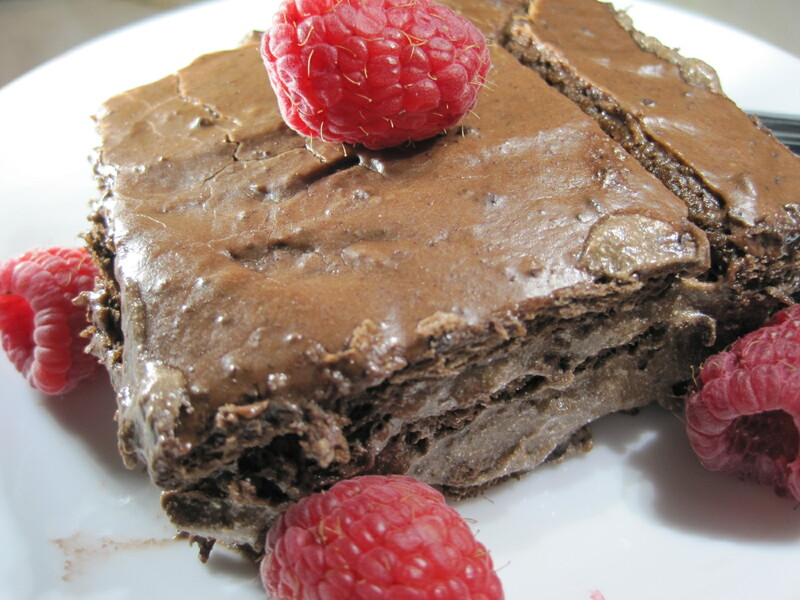 Chocolate Mousse Cake is another no bake dessert that is always a crowd pleaser. This cake freezes well, so you can make it ahead of time and keep it in the freezer until you're ready to serve it. If you don't want to use canned milk, it's not necessary. Evaporated milk is concentrated. If you use fresh milk, omit water from the filling ingredients and increase the amount of milk to 3 cups. No other changes are required. TOTAL COST OF RECIPE: $6.85 or $0.38 per serving. Combine milk, water, pudding mix and vanilla extract and mix until pudding is beginning to set. Fold in carton of frozen whipped topping until well combined. 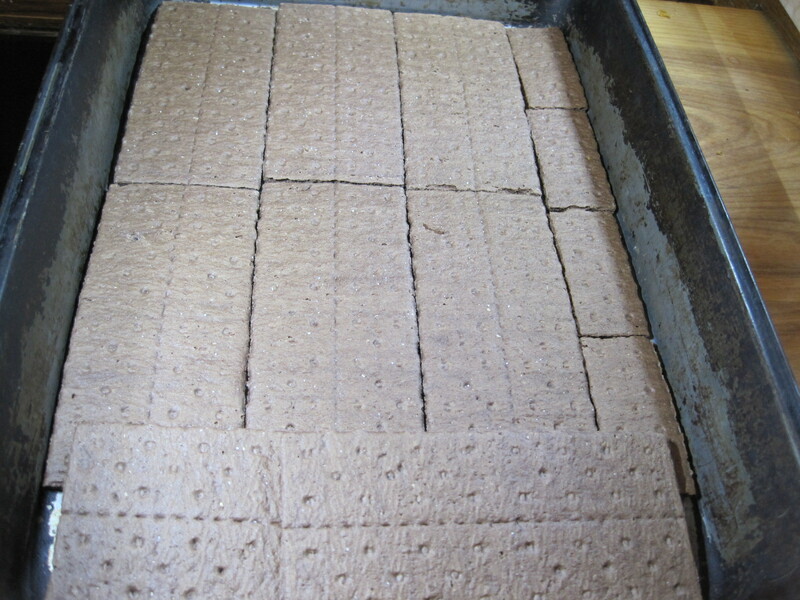 Place a layer of chocolate graham crackers into the bottom of a 9X13 inch pan so that the sides of the crackers are touching and the bottom of the pan is covered. You will have to break some crackers to make them fit. Carefully spread ½ of the pudding/whipped topping mixture on top of the chocolate graham crackers. Place another layer of chocolate graham crackers on top of the pudding mixture. Spread the remaining pudding on top of this layer of chocolate graham crackers. Top with another layer of chocolate graham crackers. Add powdered sugar and stir until completely blended. Pour this evenly over the top layer of graham crackers, using a spatula to entirely cover the top. Cover pan and place in refrigerator for at least 8 hours, but it's better if it can sit for 24 hours before you eat it. Dessert, No Bake 30 days of canned food, 30 days of cans, chocolate graham crackers, evaporated canned milk, frozen whipped topping, instant pudidng mix, milk, powdered sugar, Total Cost of Recipe = $6.85, unsweetened cocoa powder.